The RPAS, RF Return-Path Amplifier - Standard series, is designed to plug into PBN's latest generation Advanced Intelligent Multi-services Access Platform - the AIMA3000. 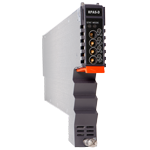 The RPAS has two independent amplifier circuits and it accepts returnpath RF signals from 5 MHz to 204 MHz through the two RF input ports. The module has an adjustable gain range of 10 dB to 30 dB and has dual output ports. 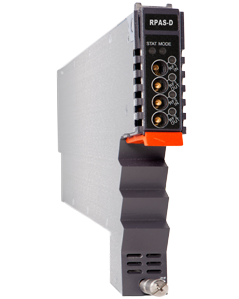 Electronic gain and slope controls allow the module to be customized for many different configurations. Microprocessor-based status monitoring and control is available locally and remotely through a web interface or by using PBN's NMSE (network management software). All module settings are retained in non-volatile memory to ensure hassle-free operation. (1) Measured with max gain is 30dB.